In my new (old) obsession with TedTalks while cooking, I serve you Psychologist Meg Jay talking about some lessons for your 20s and a recipe for a dutch baby pancake. are a good idea and not quite enough time"
I'm actually obsessed with chick peas and for some reason, when you bake them they take on this most unexpected, kind of salty, very spicy, super fun flavor. 9. drizzle with tahini and ta-da! 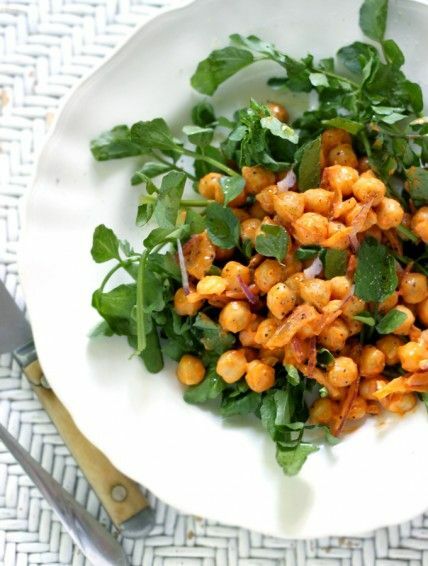 chickpea salad for you!